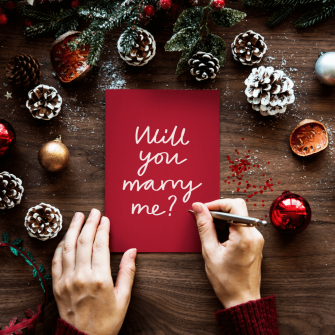 There’s no doubt that weddings are expensive, and many couples have decided to take a lot of the planning into their own hands. Some couples have even gone one step further and went the DIY route. Going DIY is a great way to spend time together with family and friends as they can chip in too. 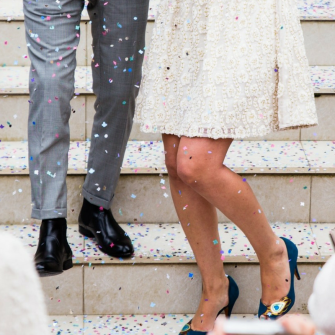 There are many ways to DIY a wedding; décor, flowers, favours, food and even clothes. 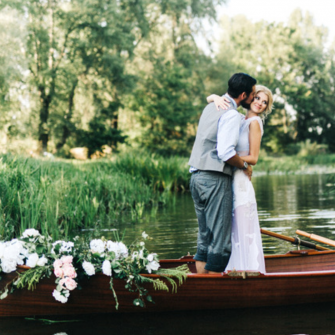 By putting their skills and passions together, couples can achieve a really unique wedding. 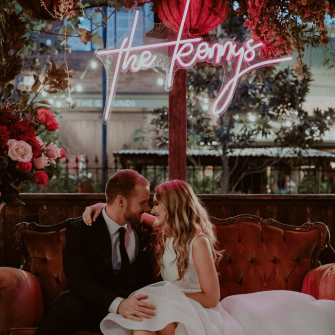 We looked through our recent Real Life Weddings to see how our couples did it! 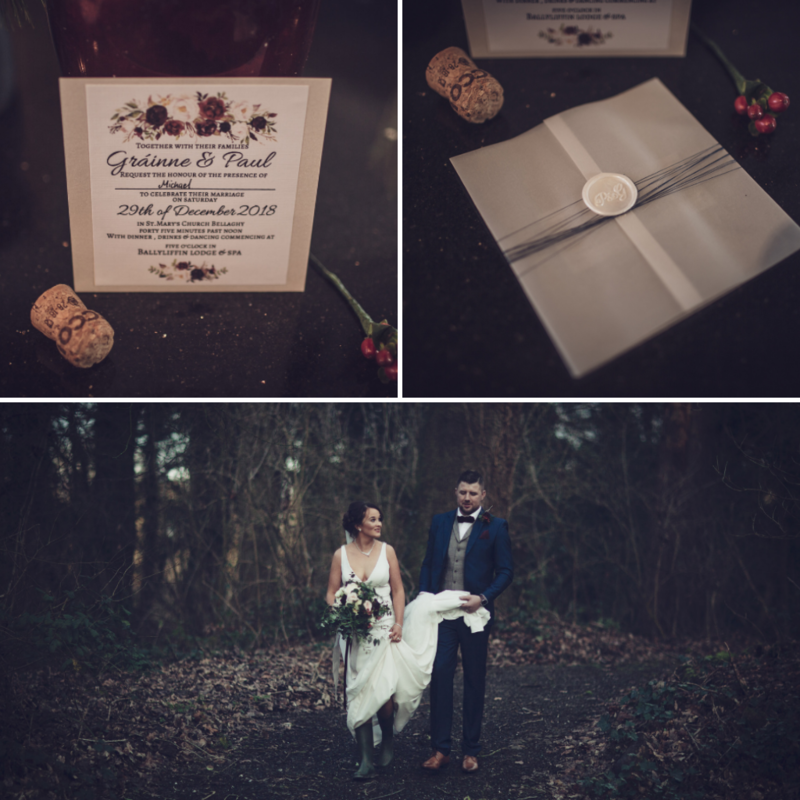 Melissa and Ronan got married on 16th March 2018 at Ballymagarvey Village, Co. Meath and as Melissa is an event planner by occupation, she loved planning her day and commented how it never felt like a chore. 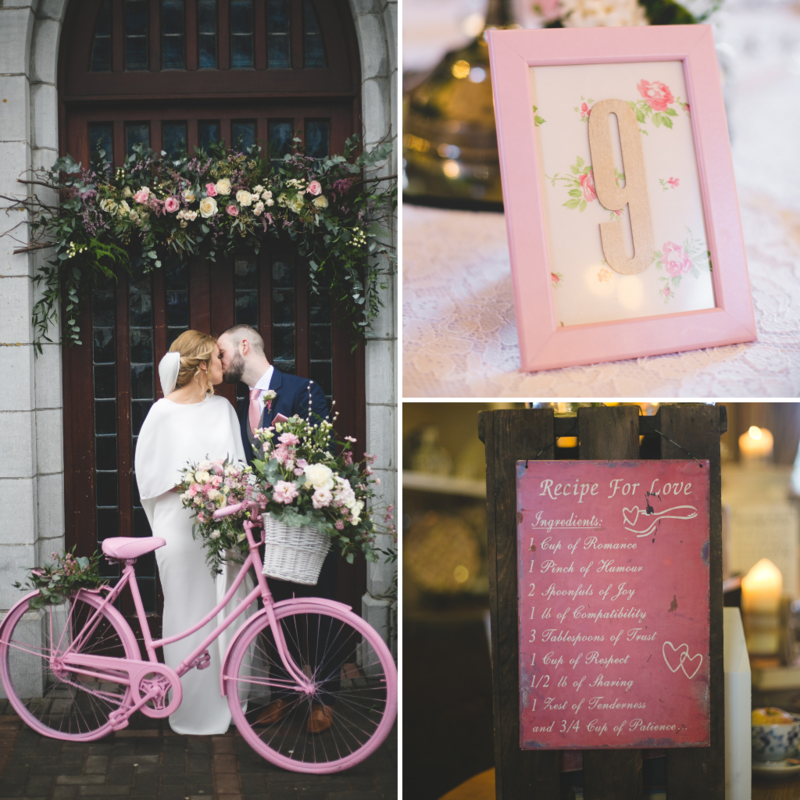 Together the couple designed and handmade frames for their table numbers and restored a vintage bike, painted it pink to match the colour scheme and set it out as a welcome to the church door. 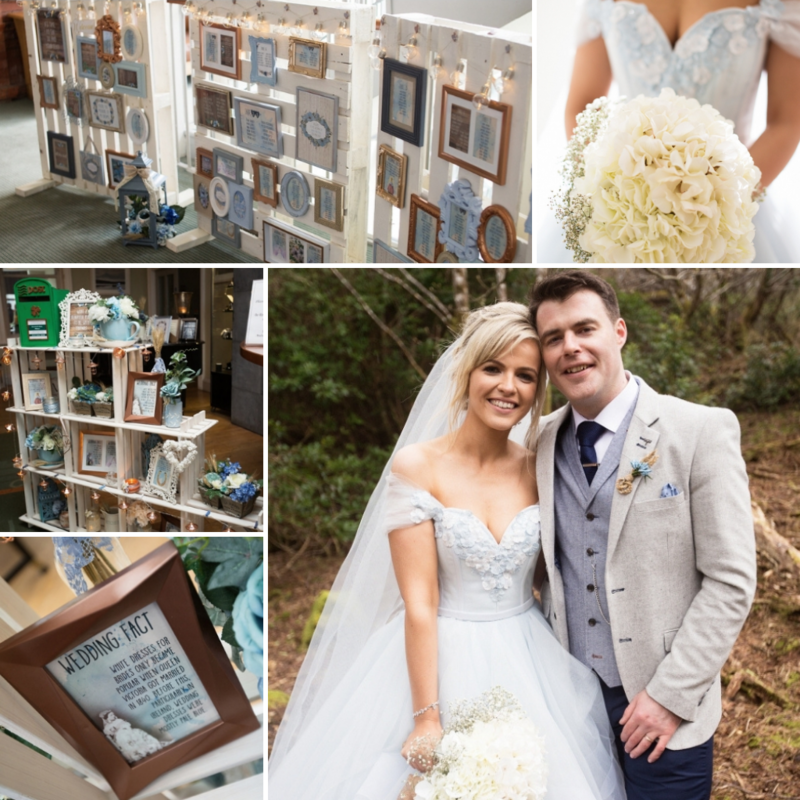 Edel and Shane married on the 21st April 2018 at Mulranny Park Hotel, Co. Mayo and the bride wore blue! Edel comments how everyone gave a hand towards the big day. 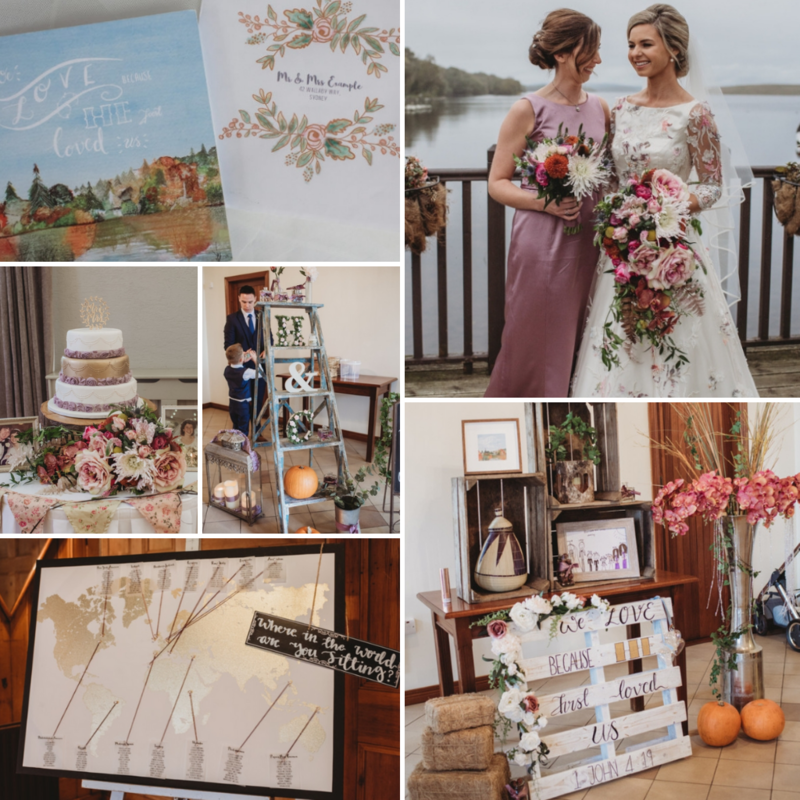 Edel and Shane personalised their day by using décor that reflected their personalities and occupations; wheat, burlap and milk jars, Irish Wedding Facts in frames and handmade pallets for the table plan. Edel and her mum arranged the flowers themselves; silk artificial with greenery, wheat stalks and baby’s breath. The couple also designed their own invites, Mass booklets and other forms of stationery. Hannah and Chris wed at an Autumn wedding on 4th October 2018 at Lusty Beg Island Resort, Co. Fermanagh. This bride went to town with DIY! Hannah challenged herself to design and make her bridesmaid dresses and did one fine job while she was at it. Wanting the entrance to be rustic, she took a pallet and painted a favourite Bible verse on it and paired it with rustic ladders, apple crates, welcome signs and bunting. The table plan consisted of a world map and a sign asking ‘where in the world are you sitting?’ and the stationery was made by the bride, as well as the PowerPoint with the cool graphics for the church service. Her cake was also a polystyrene shaped cake, spray painted and decorated by the bride, which saved a lot of money! 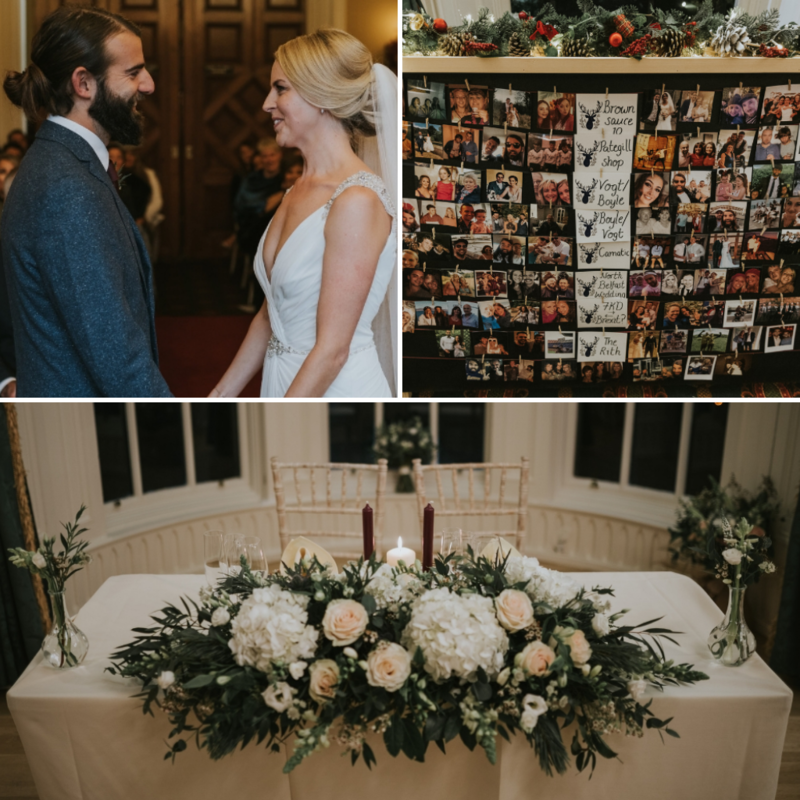 Aisling and Antony went as far as customising their ceremony at their 22nd December 2018 wedding at Belfast Castle. They wanted it to be fun and reflect their personalities. Instead of place names, the couple went for place photos, with guests having to find themselves on the table plan. Family pitched in too and helped the couple find the decorations they needed and rather than have wedding invites, the couple made a wedding website for their international guests. The bride and groom also ditched the top table for a sweetheart table! On 28th September 2018, Laura and Andrew married at Riverdale Barn, Co. Armagh. They too made wooden pallets and a stand to welcome guests. 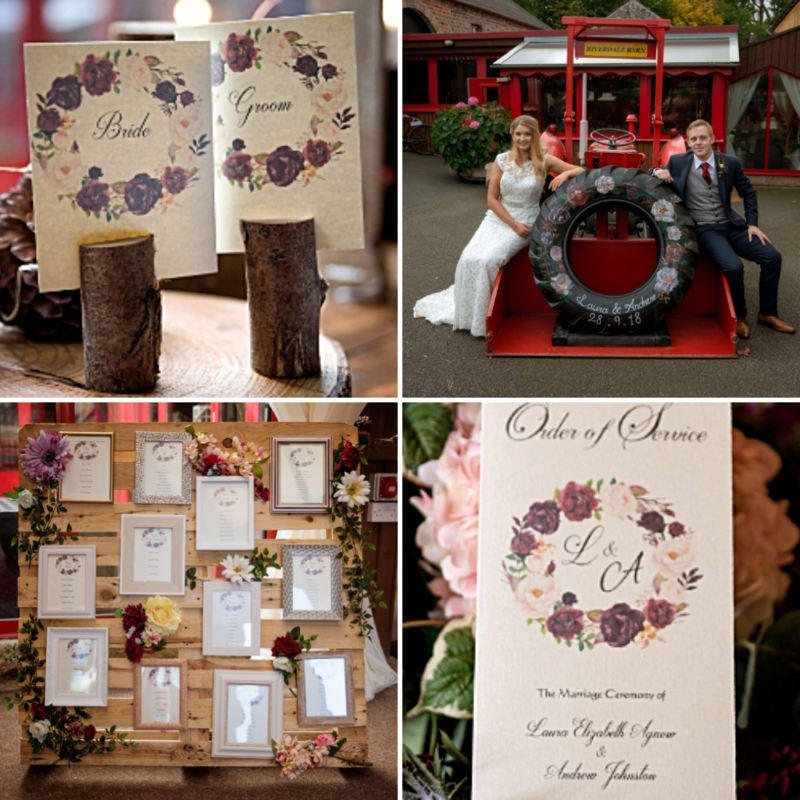 Also, they designed rustic frames and inserted wedding typography in them. The couple recycled an old tractor tyre and had the stationery garland painted on it. Speaking of stationery, Laura’s talented mum created it with the ideas coming from the bride and groom! Also, the name cards were held in the pieces of tree cut and fashioned from their own back garden. Wanting something different, Sylviane and Derek undertook their own planning. On 31st May 2018, Blackwater Castle in Co. Cork was transformed into Westeros. 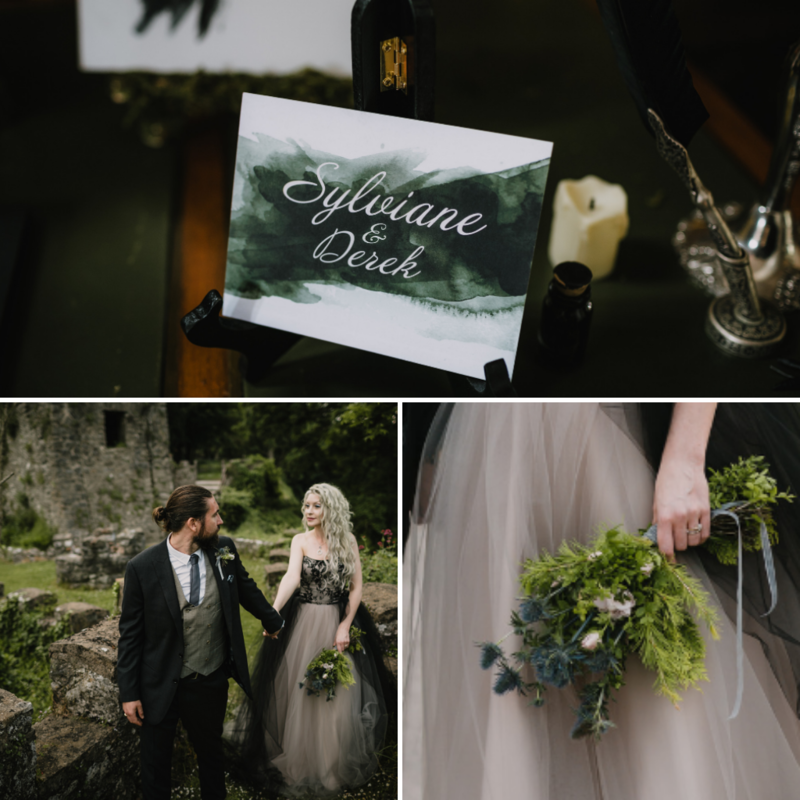 The bride had her Gothic wedding dress made from her idea and created her own bridal look by doing her own hair and makeup. As for her flowers, they were picked from the castle grounds a day or two before the wedding! The talented bride also built a website filled with details and tips for the guest as well as designing her own stationery. She comments how it was a thrill to see it all come together. Though they planned the wedding 10,000 miles away, Gráinne and Paul certainly pulled it off! Ballyliffin Lodge and Spa, Co. Donegal was transformed in a Christmas theme on 29th December 2018. Taking the stationery into their own hands, the couple also designed their own table plan and an ‘unplugged ceremony’ sign featured at the church. 10,000 miles away from Donegal, 170 invites were made by hand and the night before the wedding, the bride was seen making same about of Mass booklets with the help of family. So there it is, the possibilities for a DIY wedding are endless. Most couples tend not to risk the DIY route for the venue, photographer or outfits but anything is possible with the right amount of work and passion!